Why did Obama's DOJ let Natalia Veselnitskaya into U.S.? During a press conference with French President Emmanuel Macron in Paris on Thursday, President Trump fielded a question about the 2016 meeting between his son, Donald Trump Jr., and a Russian lawyer that has ensnared his administration in a new round of controversy. Trump Jr. released emails this week showing a series of communications with a publicist promising damaging information about Hillary Clinton, that would ostensibly be provided by Russian lawyer Natalia Veselnitskaya. Trump Jr. agreed to the meeting and hosted Veselnitskaya for a meeting with him, Trump son-in-law Jared Kushner, and Trump campaign chairman Paul Manafort at Trump Tower on June 9, 2016. Veselnitskaya allegedly provided no useful information, Trump Jr. said after the controversy erupted this week. In Paris, Mr. Trump reacted to the meeting, saying he thought "the press made a very big deal over something that really a lot of people would do." He then seemed to blame the Obama administration for allowing Veselnitskaya into the country. "Now, the lawyer that went to the meeting, I see that she was in the halls of Congress also," Mr. Trump said. "Somebody said that her visa or her passport to come into the country was approved by [former] Attorney General [Loretta] Lynch. Now, maybe that's wrong. I just heard that a little while ago. I was surprised to hear that." A spokesman for Lynch, who served as attorney general under President Obama, told CBS News Lynch "does not have any personal knowledge of Ms. Veselnitskaya's travel." The spokesman noted "the State Department issues visas, and the Department of Homeland Security oversees entry to the United States at airports." Mr. Trump appeared to be referencing reports about Veselnitskaya's efforts to enter the U.S. to represent a Russian client in a New York lawsuit in late 2015. Denied a visa, a frustrated Veselnitskaya was eventually able to secure permission from the Justice Department to enter the country outside the normal visa process under a designation known as "immigration parole," court records show. In October 2015, Veselnitskaya represented Denis Katsyv in a money laundering suit against his company, Prevezon. The U.S. government had accused Katsyv of using $230 million in stolen funds to buy real estate. Veselnitskaya's application for a visa to travel to the U.S. to work on the case was denied, she said in a later court filing. Instead, the Department of Justice granted Katsyv and Veselnitskaya immigration parole. In later arguments before a federal judge, a government attorney described immigration parole as "a discretionary act that the statute allows the attorney general to do in extraordinary circumstances." The U.S. attorney's office for the Southern District of New York granted Veselnitskaya immigration parole in October 2015, setting an expiration date of January 7, 2016, DOJ attorneys later told the court. On January 4, Veselnitskaya's request to extend her parole was denied, according to a declaration filed in U.S. District Court on January 5. In that filing, Veselnitskaya asked the judge to allow her to remain in the U.S. to defend Katsyv. She added she had "been harassed by the Government despite being paroled into the United States" when trying to return from a trip to London that November. On January 6, 2016, Judge Thomas P. Griesa of the Southern District of New York heard arguments over Veselnitskaya's request to remain in the U.S. According to a court transcript, he asked the government's attorney, Paul Monteleoni, if the Justice Department would agree to grant a one-week extension of Veselnitskaya's immigration parole status. Monteleoni replied that he did not "have the final say but I will certainly pass the request along to those in the government who do, and I think for an extension of that length I'm optimistic." It is unclear under whether the DOJ granted Veselnitskaya another extension to continue her work in the U.S., but records of the case make no further mention of an extension being granted beyond January 14, 2016. The Justice Department did not immediately respond to questions about whether Veselnitskaya was granted immigration parole after January 14 and, if not, how she was permitted entrance to the U.S. for the meeting in Trump Tower. Nearly six months later, on June 7, 2016, Donald Trump Jr. received an email from publicist Rob Goldstone that said, "The Russian government attorney who is flying over from Moscow for this Thursday," June 9, when Veselnitskaya met with Trump Jr., Manafort and Kushner in Trump Tower. Requesting the meeting be pushed back, Goldstone mentioned that "the Russian attorney" would be in court until 3 p.m. on June 9. The emails suggest Veselnitskaya, who does not speak or read English, returned to Moscow sometime after her immigration parole status expired in January. Days after the meeting in Trump Tower, Veselnitskaya traveled to Washington, where she attended a screening of a film decrying the Magnitsky Act, the 2012 law allowing sanctions against individual Russians suspected of human rights abuses. 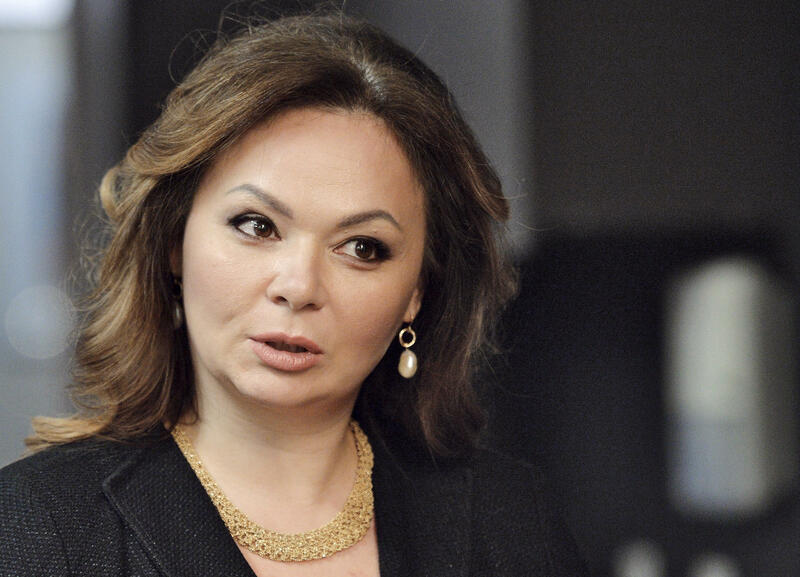 Veselnitskaya has been one of the foremost Russian nationals lobbying for repeal of the bill, named after Sergei Magnitsky, who was allegedly killed in custody after exposing the corruption at the heart of the Katsyv case. The federal government settled its case against Katsyv four months after Mr. Trump entered office.